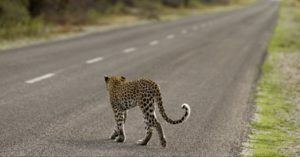 It is likely that many drivers have, at some point, accidentally hit an animal on the road. The consequences? Not only an injured or dead animal, but probably an insurance claim, or a visit to the emergency room for various injuries. 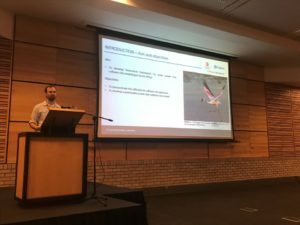 At the inaugural African Conference for Linear Infrastructure and Ecology (ACLIE) 2019, which was held this past week in the iconic Kruger National Park, and co-hosted by the Endangered Wildlife Trust (EWT) and Eskom, solutions to prevent wildlife roadkill and improve driver safety were addressed. Work undertaken in Canada, demonstrated in one of the many fascinating presentations at the conference, shows that building wildlife bridges over or under roads effectively helps many animals to cross over the road, while avoiding an interaction with a vehicle. 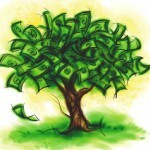 Simple, but effective! Similarly, the Eskom/EWT Strategic Partnership – an African first – excited international delegates who saw how this unique relationship is directly reducing wildlife interactions with electrical infrastructure and preventing disruption to our power supply. Centred around linear infrastructure, namely roads and rail, energy, canals, pipelines, and fences, and their impacts on the environment, ACLIE was the first of its kind, not only for Africa, but also in the framework of combining transportation and energy at one forum outlining multiple, common threats to the environment. ACLIE sought to move away from the current international conference framework, which usually focuses on each form of linear infrastructure in isolation (for example, roads only), and introduced a less siloed approach that combined all forms of transportation and energy, since these necessary modes usually co-exist and have multiple negative impacts on biodiversity. Examples include the loss of wildlife due to roadkill and electrocution on power lines. The EWT’s Wildlife and Transport and Wildlife and Energy programmes have been addressing these impacts and developing solutions for years and were the drivers behind this international gathering of experts, to expand the knowledge pool. The impacts are not unique to South Africa, however; they are a threat worldwide. Presentations ranged from global perspectives to individual country case studies, covering current scientific research, policy, legislation and best practice, and all with the potential to enhance both the project development process and the ecological sustainability of all linear infrastructure modes. 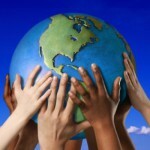 A common thread across many presentations was the threat posed by current and future development across Africa. Over the next decade, major developmental projects have been planned for Africa, which will see ‘development corridors’, comprising networks of power lines, roads, railways, pipelines, and ports being constructed to facilitate the movement of commodities. There are over 30 development corridors taking shape across Africa, spanning over 53,000 km in length, and potentially affecting protected areas with high conservation values and multiple threatened species. It is therefore timely that ACLIE was held, in order to better prepare ecologists and sustainability experts for this explosive development. The conference attracted many key players, including the World Bank and USAid (PowerAfrica), and was a golden opportunity to facilitate discussions and influence decision-makers around future developments on the continent. Case studies of how to prevent Martial Eagles being electrocuted on power lines, or Samango Monkeys being killed on roads in South Africa, to examples from North America on the design of bridges specially constructed over roads to assist wildlife in crossing, and prevent collisions on roads, were just some of the practical illustrations of the significance of this work. Keynote speakers included Yolan Friedmann, the EWT’s CEO, Deidre Herbst, the Environmental Manager from Eskom Holdings SOC Ltd, and George Ledec, the lead ecologist with the World Bank. Feedback from the conference delegates supports the need for ACLIE to become a regular event on the global calendar – only through bringing together experts from around the world, will we truly address this very real threat to biodiversity. 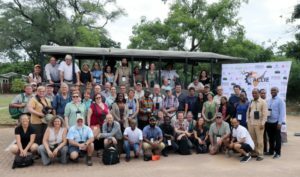 ACLIE 2019 was organised with the assistance of africaMASSIVE, and was supported by Eskom Holdings SOC Ltd, Road Ecology Center – UC Davies, TRAC N4, EcoKare International, SANPARKS, Balmoral Engineering, Painted Wolf Wines, and Arcus Foundation. Whilst they are about it, could they think of ways of making them safer for humans too. Our roads are the second most dangerous in the world.